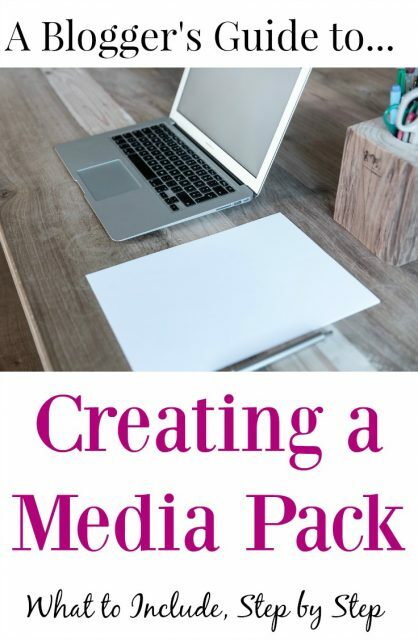 Share the post "Bloggers Guide To Creating a Media Pack"
If you’re a blogger and you’re looking to work with brands, PRs and companies that you love, then it’s well worth putting together a media pack for your blog. You may have people approach you asking you for your media pack, or perhaps your social followers and page statistics. In either case, attaching a ready made pack and replying with that makes your life easier, and it’s also a professional approach. If you’re wanting to reach out yourself and propose working on certain projects, then I’d say you definitely need one, as it’s an effective and business-like way to convey who you are and what you have to offer. 1. Tell us a little about you. A short paragraph about you, the voice behind the blog, so share your background and current situation. Yes, it’s your blog that they’re looking to be published on, but it’s you that they will be working with. 2. An introduction to your blog. What’s it all about? What areas do you cover? Do you run regular features that you can mention here? Think about how you would describe your blog to people in a few sentences, as that’s what you are looking to do here. 3. Share your social media platforms, follower numbers and page statistics. So how many Twitter followers, Facebook page likes and so on. This is the one that’s likely to change the most from month to month so keep on top of the updates. 4. Who reads your blog? I’d recommend a Google Analytics account here, as it makes it easy for you to understand your reader demographics. Or alternatively, if you have a Facebook page connected to your blog, then use the ‘Insights’ tab at the top and then go to ‘People’. You can either take screen prints of these or type in the details. 5. Talk about other partnerships that you’re proud of. Are you an ambassador for any brands, or have you carried out some effective collaborations or reviews with other companies? If so, shout about it. 6. If you’re pleased with them, point out relevant rankings. I point people in the direction of my sidebar here, as they’re all automatically updated, so in my case, things like Tots100 and Klout. 7. In what ways are you able to collaborate? For example, are you open to reviews, running competitions, sponsored posts, banner advertising? Be clear about how you can work with people and what opportunities are available with you, and this is where you should include your fees, too. 8. Thinking about the actual layout, make it concise and clear, we’re talking no more than 1-2 pages here. Pop your blog header on it, and perhaps a little photo montage representative of you and your blog. When you’re happy with it, convert it to a PDF. And then, please do remember to update it regularly. I refresh mine at the start of each month, and it only takes a few minutes, as the bulk of the pack remains unchanged. The pack needs to be factual and professional, but that needn’t mean dry. Let your personality come through, too, along with your enthusiasm for your own blogging space. How does this all sound? Easy enough? Thanks for this post. The timing is perfect as I’ve just been approached by a company I’d love to work with, but I’ve no idea how to proceed. They haven’t asked for a media pack, but writing one up should help me get my head around the more professional side of blogging. Ah, perfect! Happy to help, and yes, it does make you feel more professional through the process of sitting down and doing it. Fab tips, thank you so much for sharing. Will be referring back to this when I get around to putting mine together. Thanks, Morgan. Glad I could be of help! Absolutely love that you’ve written about this. It’s on my list of posts I HAVE to find or write!! It helps, I think, to have this to hand. Great post – I already have a media pack but I will definitely use some of these tips to improve it a little. Thanks!